Racing from Sandown 6/7/13. The Coral Eclipse Stakes. 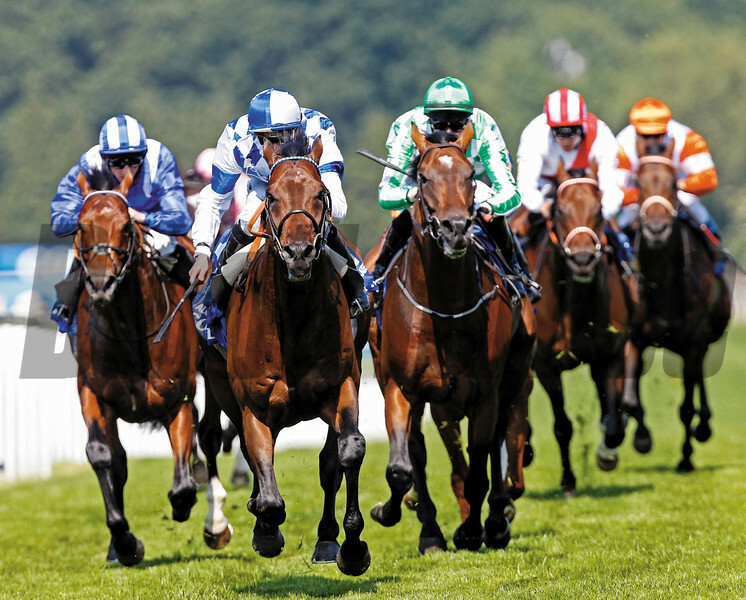 Al Kazeem (2nd left) wins from Declaration of War (green/white).